The champion is officially being unshackled. League of Legends champion Sylas is officially being unshackled. The champion is finally set to make his return to competitive play. 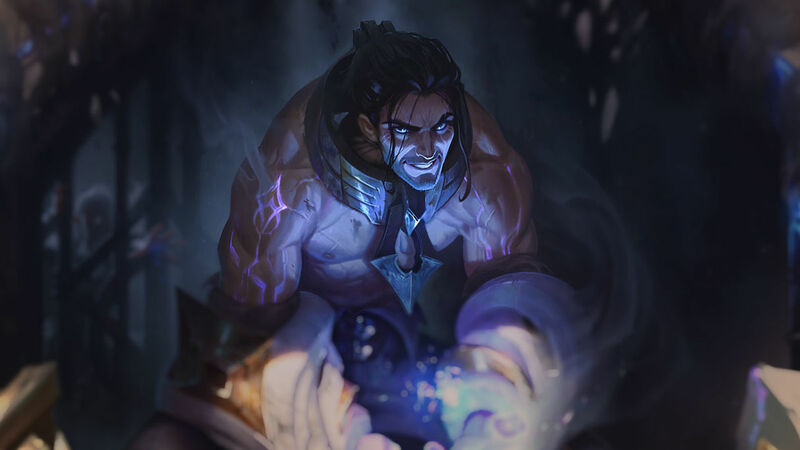 Sylas first received a global disable from competitive play two weeks ago due to a number of game-impacting bugs. An inability to use his ultimate was first showcased by SDG’s Jiang “Changhong” Chang-Hong in a game between Bilibili Gaming and SinoDragon in the LPL. Elsewhere, a bug was found with Sylas’ W spell in which players would receive advanced health regeneration on a final blow while casting the ability. Maximilian Schmidt, the league operations lead for the LEC, provided details on the re-enable. Saw some questions around Sylas’ status: The global disable has been lifted. While all regions have autonomy to decide when to re-enable him for competitive play, the expectation is that we will also see him unshackled for the LEC Play-offs next week. While Maximilian confirmed that Sylas’ global ban has been lifted, he was unclear if the champion will definitely be available in the LEC playoffs. He also clarified that it’s up to each individual region to decide if it should re-enable the champion. The LEC playoffs kick off next week on March 29 with an opening match between Fnatic and Vitality, followed by Splyce vs. SK Gaming on March 30. Teams are going head-to-head to secure a spot at the League of Legends European Championship final in Rotterdam where 90 championship points will be given to the winner.